Who Said This In Which Film? "You know, snow tastes just as bad as water." Who Said This In Which Film? Answer: Helen Broderick (playing wise-cracking Mabel Anderson) said this after being smacked in the face by a snowball in the classic Fred-and-Ginger film, Swing Time. Who Are We and Which Film is This? A very young Christopher Lee (uncredited) sustained a permanent injury to his hand during a fight scene with me in this mid-'50s film. The actor playing my father in the same film was more than two years my junior at the time; he made a career of frequently playing confused, stuffy British officials. He appeared briefly in the 1982 film Gandhi. Who Are We and Which Film is This? 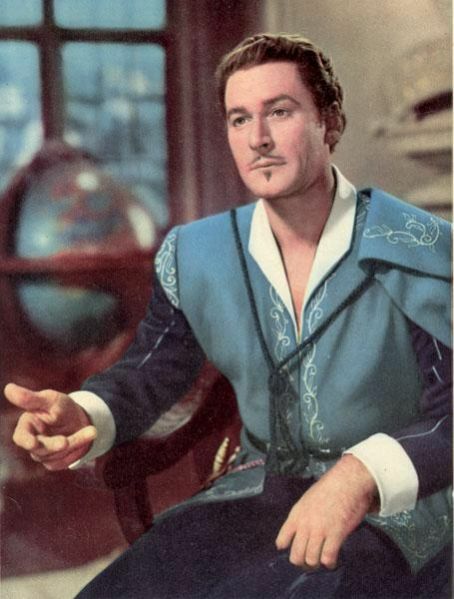 Answer: Errol Flynn and Michael Hordern in The Dark Avenger (1955). 2. The television show The White Shadow featured 2 future directors; name them. Answer: Thomas Carter and Kevin Hooks. 5. 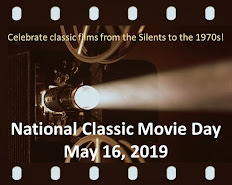 Name these three films: (a) a movie directed by John Huston featuring Andy Devine (b) a movie featuring Mary Wickes that was nominated for an Oscar for Best Music, Original Song by Irving Berlin (c) a film nominated for two Oscars featuring Billy DeWolfe and Joan Caulfield. Answers: (a) The Red Badge of Courage, (b) White Christmas, (c) Blue Skies (NOTE: Becks got part (c)). Since TT88 was posted on the 4th of July, this was a "red, white, and blue" question, LOL! 6. Who (besides Bill Cosby) played Scotty in one second-season episode of I Spy? Free pass for the rest of the month if you can name the episode! Answer: Hari Rhodes in Will the Real Good Guys Please Stand Up? 7. The actor in the previous question was also a co-star of a popular '70s TV show. Name the show and the star. 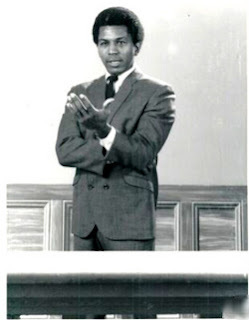 Answer: Most Wanted; I would have also accepted Daktari, although that was late '60s. Who Am I? I was a top model for the John Robert Powers agency before I began acting. I was nominated for an Oscar for my very first movie, and was also nominated as the Most Promising Newcomer to Film by BAFTA. 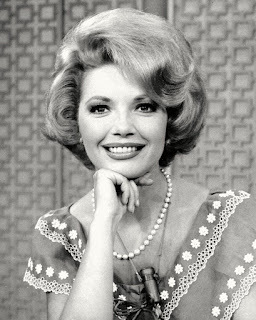 Despite this impressive start to my career, and appearing in a number of movies and television shows in the '50s and '60s, in my later years I ended up supporting myself by working as a typist. I took my own life with an overdose of sleeping pills at the age of 49. Who Am I? Who Said This In Which Film? "Look, I probably should have told you this before but, you see, well... insanity runs in my family... it practically gallops!" Who Said This In Which Film? 1. 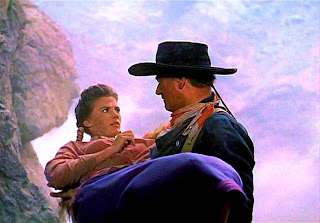 What do these three films have in common: The Searchers, Key Largo, and The Glass Menagerie? 2. Beulah Bondi and Troy Donahue both appeared in this film. Name the film, the director, and the stars. 3. 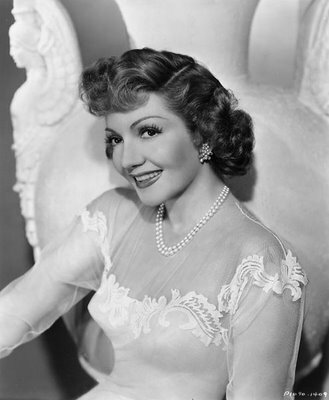 Claudette Colbert originally turned down her part in this Oscar-winning film because she would be playing the mother of teenagers. Hedda Hopper helped the producer to persuade her to appear in the movie. Name the film, the producer and the actors and/or actresses who played her children. 4. 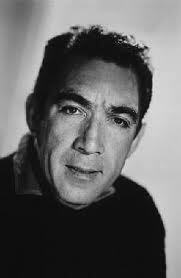 Name the stars of the only film to feature both Anthony Quinn and Mildred Natwick. 5. Anthony Quinn directed this film's remake. 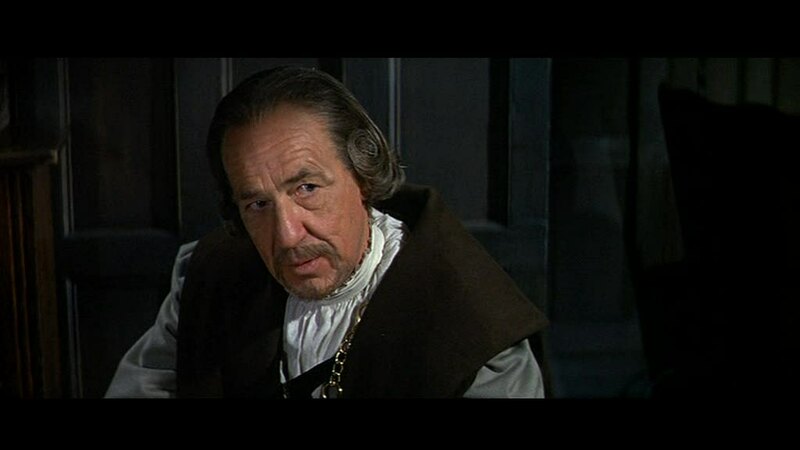 Name the star and the director of the original film. 6. Bette Davis had one issue with the final version of the film, Now Voyager. What was it? 7. Name the film in which Edward Everett Horton's character dies a hero's death. 8. Name the film that Montgomery Clift made with Myrna Loy. 9. Name three films that Robert Ryan and Lee Marvin made together. Wasn't that Cary Grant as Mortimer in Arsenic and Old Lace. Beelzabub, you nailed it! It is Cary Grant in Arsenic and Old Lace....good job! 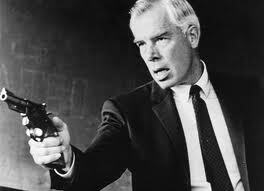 9 - The Dirty Dozen, The Professionals, and Bad Day at Black Rock! Yep, that's it! Way to go, DKoren! Is #3 Since You Went Away, produced by Selznick, with Jennifer Jones and Shirley Temple as the daughters? Brandie, welcome to Trivia Time! You're absolutely correct on #3, very good! #5 The Buccaneer - originally made in 1938 by Cecil B. DeMille with Frederic March. I really dropped the ball on your Errol Flynn question last week. I've never seen The Dark Avenger...I know, inexcusable! P.S. 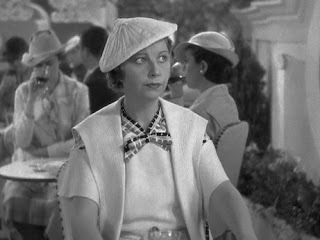 I just LOVE Helen Broderick! P.S.S. Re Errol's picture...please, JoAnn, remember that I am a single woman-don't make it any harder! LOL! Becks, and your point (re Errol's pic) is......? You're right on with your answers to #s 5 and 8! Great job! But what's up with you not seeing the Dark Avenger? LOL! I love Helen Broderick too, she's one of my all time favorite comediennes! #6 Somehow I jumped right over this one, and it is my number One Bette Davis favorite. As I recall, Bette liked the original ending of Maugham's story -- "With all my heart, I still love the man I killed." The End. But the Code would not allow the character to get away with murder and adultery. So they tacked on this weird ending, having the character, who already knows she is in mortal danger, walk deliberately out to the alley and get knifed. Bette thought it was stupid, and I agree with her. Even that ending created another Code problem -- the killers could not get away with it either -- so they are seen by a cop and taken away. What a mess! Hey Becks, thanks for your insightful comments on the Bette Davis movie, The Letter. JoAnn and I like it a lot, too. The only problem is that the question was about Now Voyager! Other than that, it was a good answer, LOL! Recap: still need to answer Who Am I? plus #s 1, 2, 4, 6 and 7. Paul! You just made me snort hot coffee through my nose! I can't believe I did that! Early dementia, do you think? Or maybe just space cadet? Too weird! You know, it would be easier for you to change the question than for me to change the answer..it was such a good answer! Well, I'd remove the comment, but I think it's too funny, and shows my humility about my genius -- also gives others the opportunity to snort coffee through their nose too! 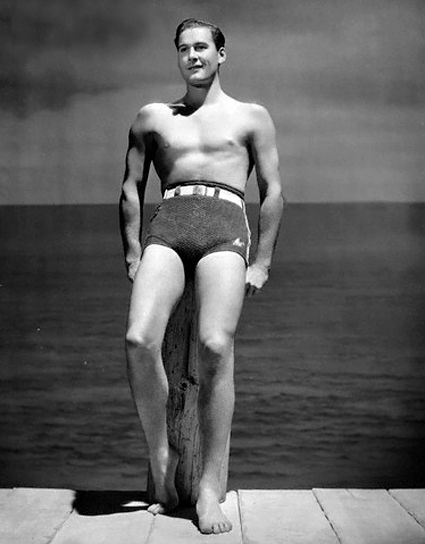 I can't even redeem myself -- I don't KNOW why Bette didn't like something about Now, Voyager! Becks, a likely story! I think it was a consequence of you staring at that picture of Errol too long....so it's not your fault! Blame JoAnn, LOL! I say leave the comments, snorting coffee through one's nose definitely increases the entertainment value of Trivia Time!